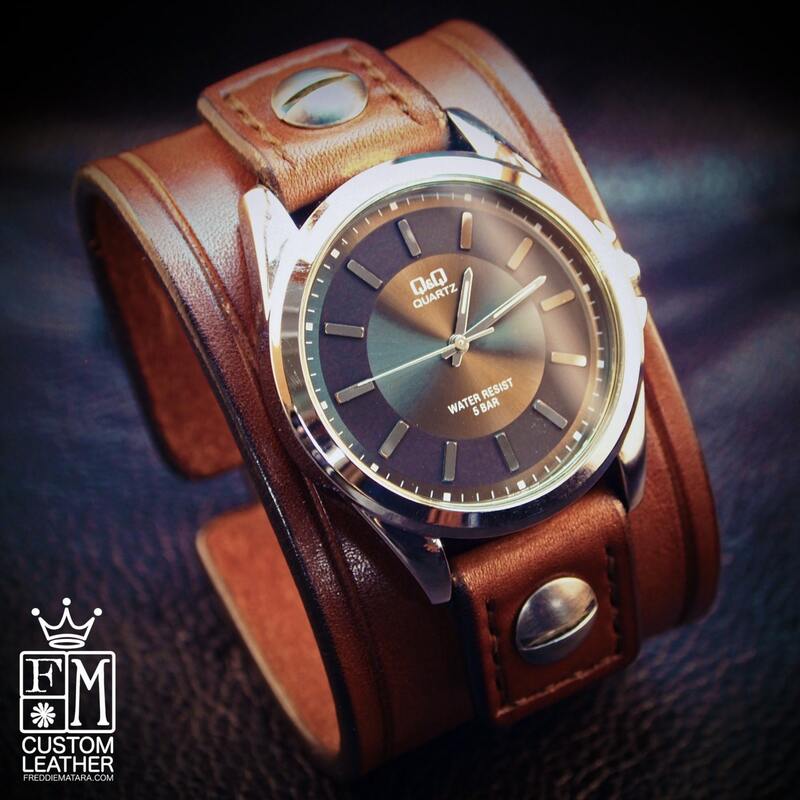 This watch is made using High quality American bridle leather. It is 2" wide and scribed around the perimeter. All the edges are worked hard and slicked smooth! 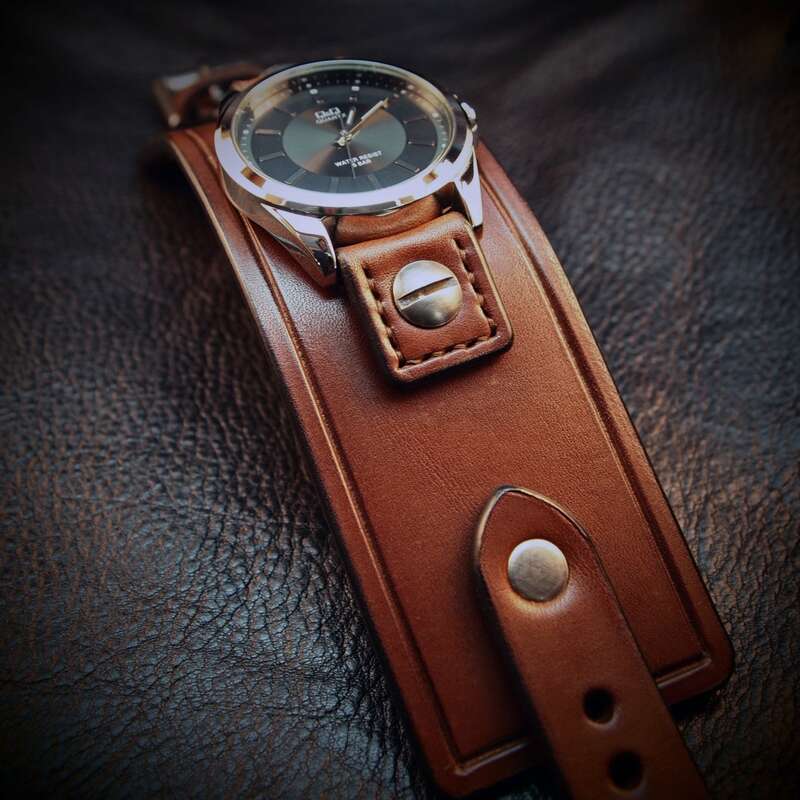 The watchtabs are handstitched in brown and closes with a hand aged roller buckle. 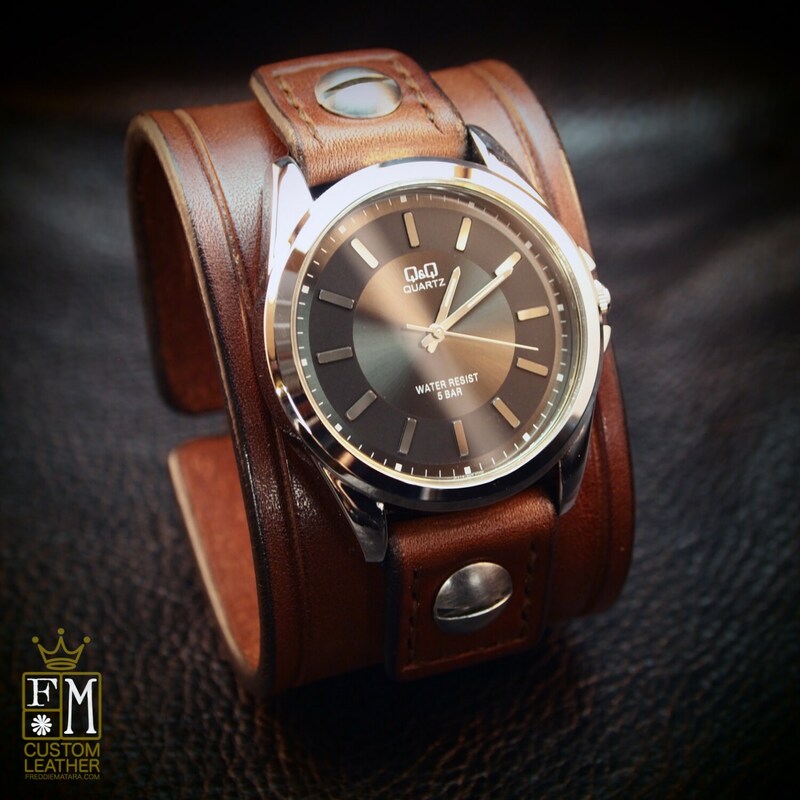 A classic Q&Q watchface with a slick black face and water resistant movement sits atop! I can't recommend Freddie highly enough. 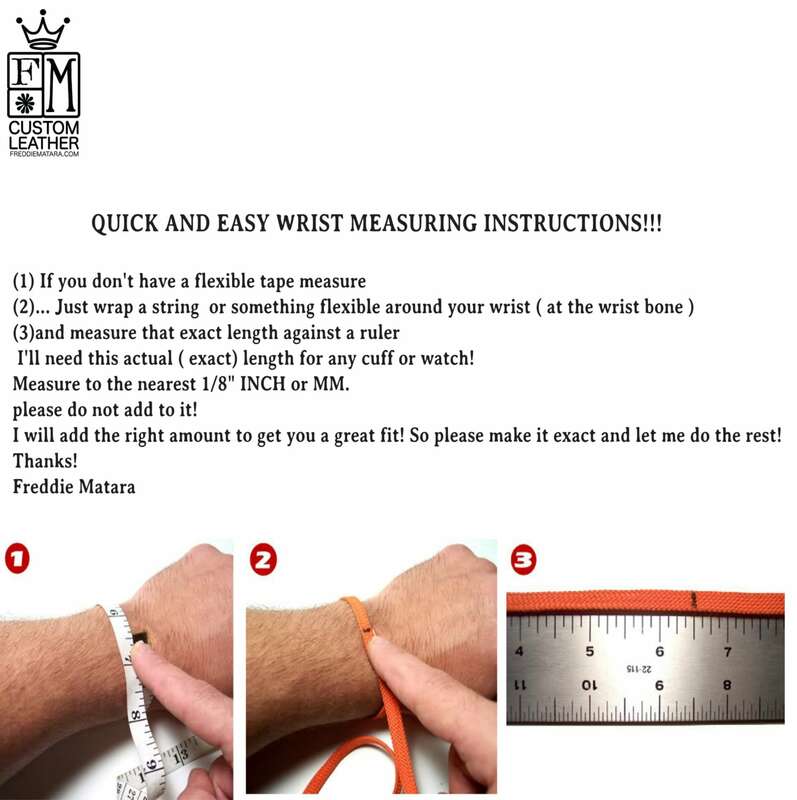 I wrote him to ask if he could make this watch with snaps instead of a buckle for my partner who works at a computer all day (it sits flatter against the desk). 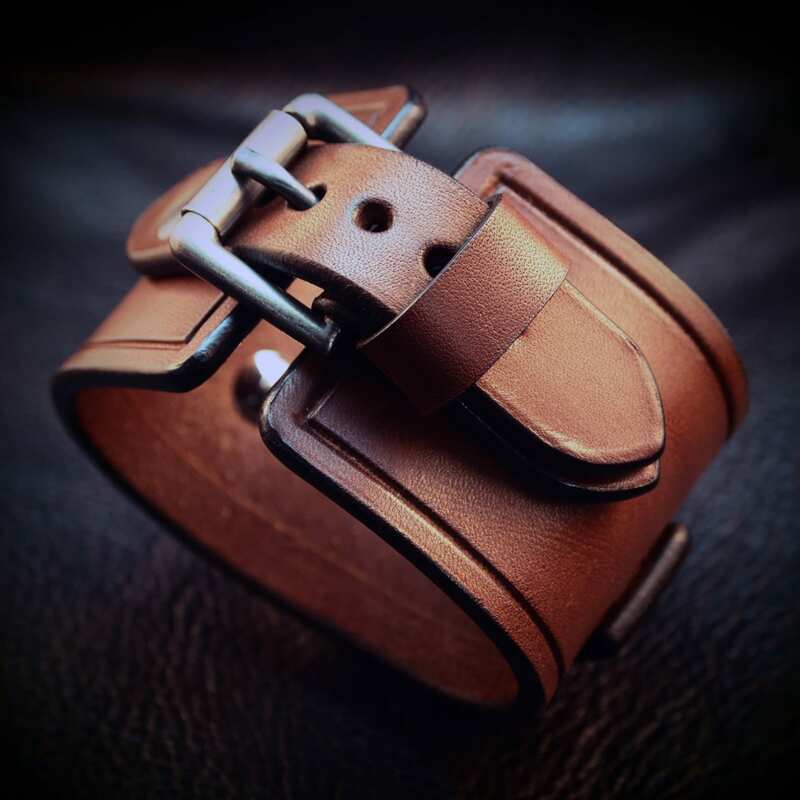 He replied within 10 minutes, said it would be no problem, didn't charge anything extra for the customisation, and completed the work very quickly even though I said we didn't need it before Christmas and I'm sure he must be swamped this time of year. It arrived quickly, fits perfectly, and looks fantastic. Thank you so much, Freddie!